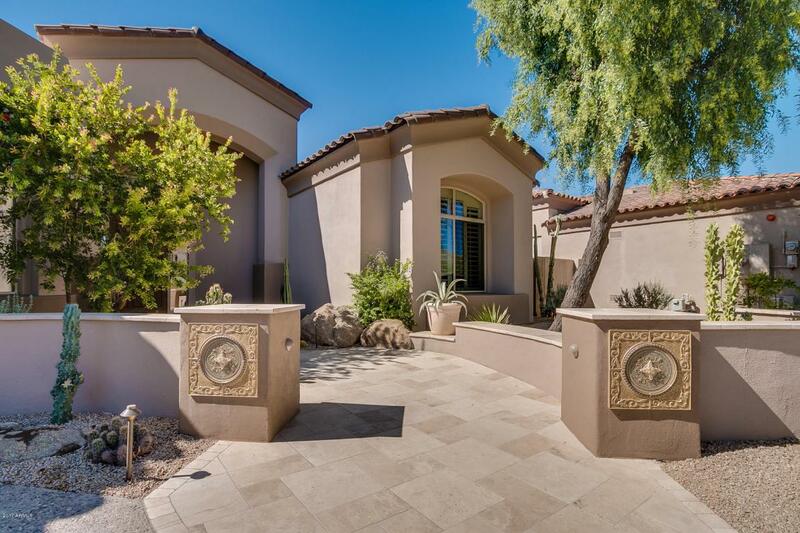 Located in the prestigious community of 100 Hills this hillside lot offers stunning panoramic views of Camelback and Mummy Mountain,city lights and gorgeous Arizona sunsets. 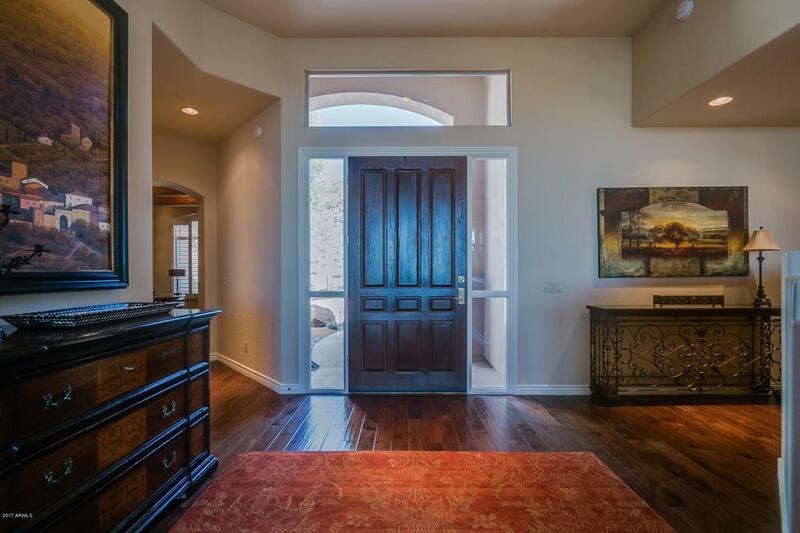 Guard gated entry, community htd pool & spa, tennis courts, play area, paved bike/walk paths and clubhouse/rec room. Backyard borders NAOS and across the street in front is hillside reserve. 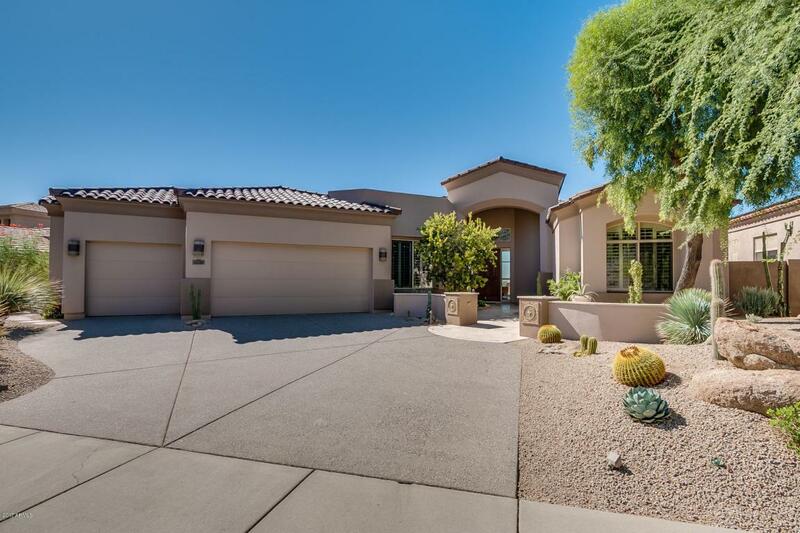 Home has top of the line upgrades, custom cabinet master closet, jetted tub in master bath, beautiful backyard with built-in BBQ, heated salt water pool, spa, outdoor fireplace, astro turf and water feature. 3 car garage has storage cabinets and overhead storage. Built in entertainment center, built in bookcases in office, 5 stage whole house water filtration system, and oversized laundry room. Immaculate move in condition.